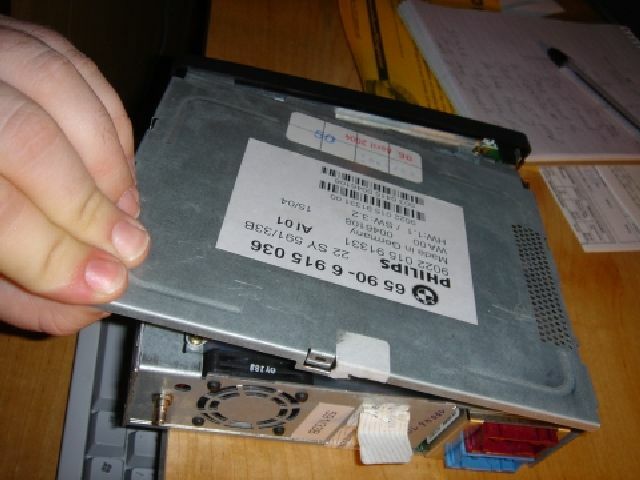 If a system upgrade goes awry on you, the disc can end up jammed inside the navigation computer, and it won't budge. There are three options for removing - try them in the order written here - jump to the last one immediately and you may invalidate a system warranty unnecessarily! Put the key into the ignition and turn to position 1 or 2. Go to the nav computer and press and hold the eject button. The button will flash while pressed, and you must keep hold of the eject button for about 3 minutes. You'll notice that eventually the light on the eject button will stop flashing. As soon as you see this let go of the button, and press it again quickly. The CD will hopefully eject. Cut the power to the unit - either unplug it, or disconnect the battery. 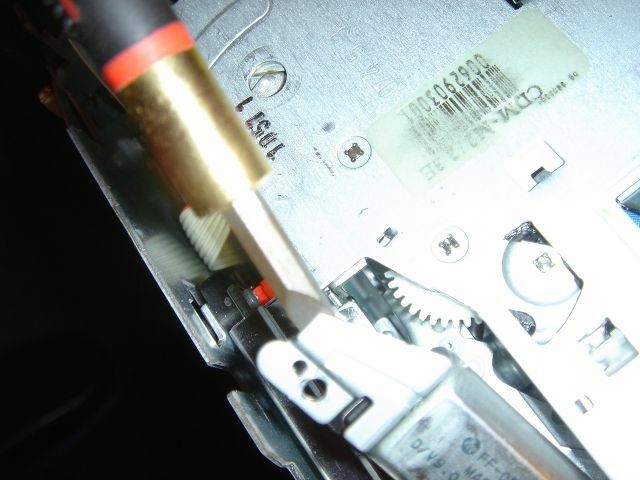 Hold down the eject button, and then reapply power - again, it should pop out. So if it doesn't, you're onto Method Three. Disclaimer: this should be considered a last resort for removing a CD from your Nav drive. 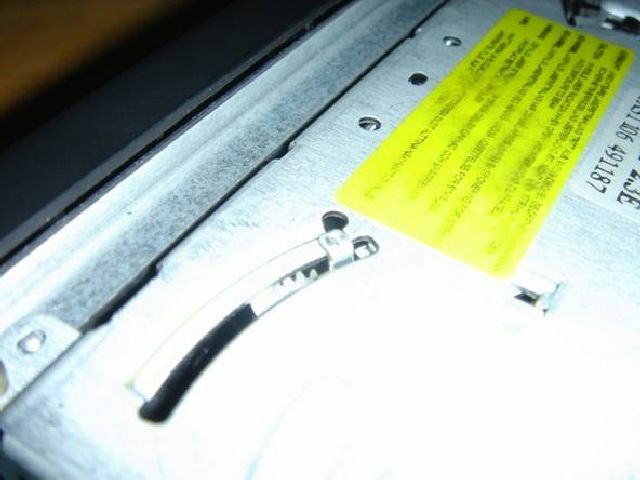 Your warranty may be voided when you open your Nav drive, due to the tamper-proof sticker on the rear of the unit. Do not attempt this if any of the steps seem uncomfortable to you. is not responsible for any damage you may cause to your Navigation computer. Firstly, remove the sat nav unit from the car. Then remove it from its cage. 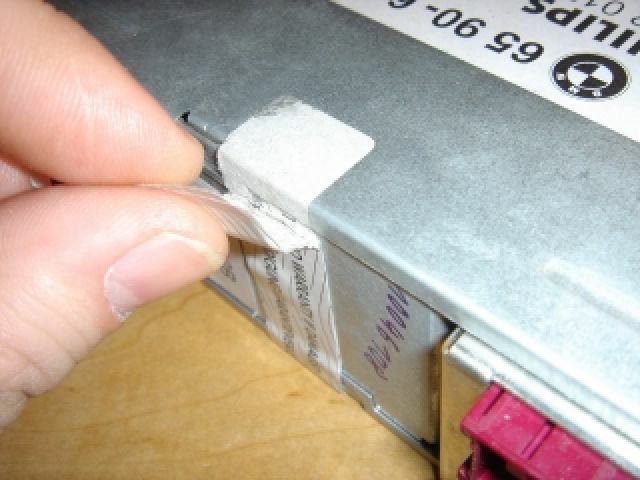 Gently peel the sticker off the back (if you're worried about the warranty) or just slice it. The top of the case isn't screwed down - its just held in place with some tabs. Push it off from the rear corners first, it'll come off quite easily. 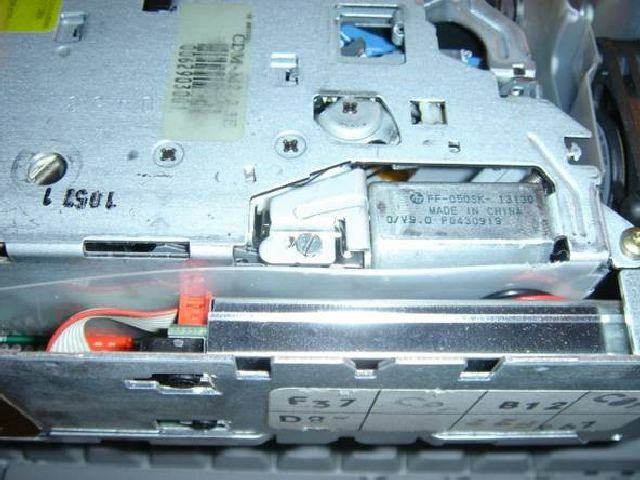 With the top of the case off, you need to unscrew the motor for the drive. It'll have Made in China written on it - and is held in with either a small screw like in this pic, or in my case a T6 torx screw. 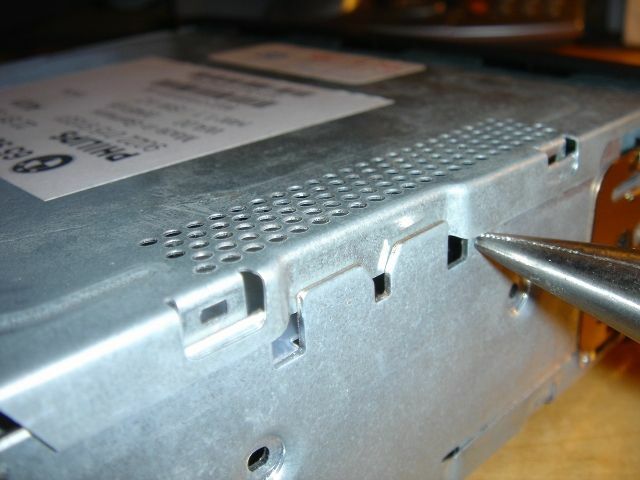 Once the screw is out, gently lift the motor out of the way - it won't come out fully, and you don't want it to. It's lightly soldered in, and would be a pain to get soldered back in if you mess up. With the motor out of the way, you can move the cog which the motor drives to eject the disc. You need to turn it clockwise. It should move quite freely - you will see the CD moving outwards as you turn it. You only need to get it far enough out so you can grab and pull the CD out. So once that's done, connect it all back up - and try not to mess up the next software update!